The over-rumored BlackBerry’s newest secure Android smartphone with enhanced security features, curved design, and physical keyboard finally is available for purchases. Rumors and leaks are no more valuable because the brand-new BlackBerry Priv is listed at the company’s website and already sells in the U.S, U.K, and some other countries. The number of supported countries to ship the handset will be expanded in the upcoming days. 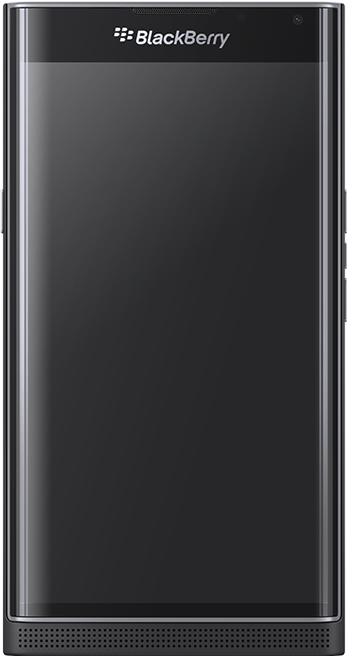 The BlackBerry Priv is a dual-curved edge phone sporting a 5.4-inch screen with a resolution of 2650 x 1440 pixels, bringing display density to 540 pixel-per-inch, 16:9 aspect ratio, and 34-bit color depth. Beside the touch-enabled display, there’s another slide out touch-enabled physical button, looks like none can feel a BlackBerry handset without its classic physical keyboard. On the back side of the new Priv is located the stunning 18 MP Schneider-Kreuznach camera with auto-focus, Optical Image Stabilisation (OIS), 6-element lens, f2.0 aperture lens, 4-times digital zoom continuous and touch to focus, face detection and capable of shooting videos at 4K resolution. On the front-facing side, is the 2 MP selfie camera with two-times digital zoom, image, and video stabilization, and it records videos at 720 pixels. Priv runs on the 64-bit hexa-core Qualcomm Snapdragon 808 processor, backed by Adreno 418 graphics processor, 3GB of RAM and 32GB of internal storage. The memory of the Priv is expandable by up to 2 TB, so there will be no “not enough storage” issues with this high-end phone. And what makes it special is the Android 5.1 Lollipop operating system where the phone runs. (BlackBerry Priv is scheduled to get updated to the Android 6.0 Marshmallow in the next year). The battery that powers this phone is an expanded non-removable 3,410 mAh unit capable of powering the phone for up to 24-hours in talk time. For the users in the United States, it supports Wireless Charging technology while those in other parts of the world can pair it with Qualcomm Quick Charge 2.0 technology. BlackBerry Priv is launched as the most secure Android-powered smartphone. Its DTEK app scans your apps and networks, making sure that no private data is being shared. It has access to the camera, microphone, location, and personal data, disallowing any third party app or network to take over the data. 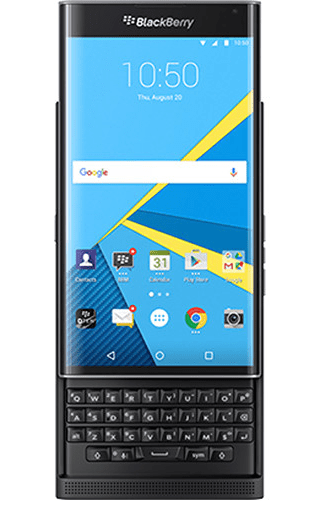 You can hit up and pre-order a Priv for yourself at the BlackBerry website or for $699 unlocked. For the U.S customers, an At&T version of the phone is available for purchases for $24.67 per month two-year contract. The AT&T plan brings the total price to $740, a little bit more expensive. 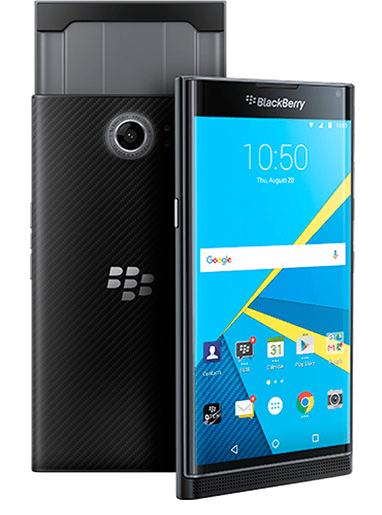 For $699 you can get the BlackBerry Priv unlocked at B&H retailer as well.